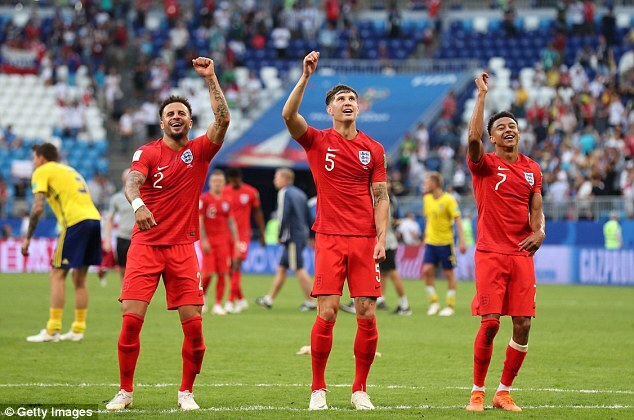 The site of England’s biggest World Cup win for 28 years is facing an uncertain future after the stadium had its power cut on Tuesday. 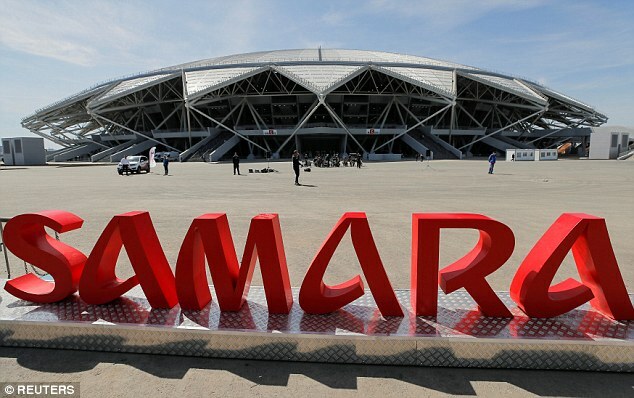 Energy supplier Samaraenergo switched off the electricity to Samara Arena over a 9,216,000 roubles (£106,800) bill left unpaid by construction company PSO Kazan. 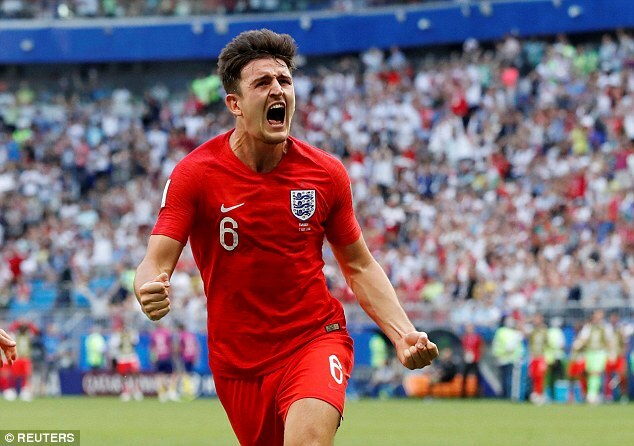 Harry Maguire and Dele Alli scored the goals in England’s historic World Cup quarter-final win over Sweden at the 42,000-seater venue that was purpose-built for the World Cup. 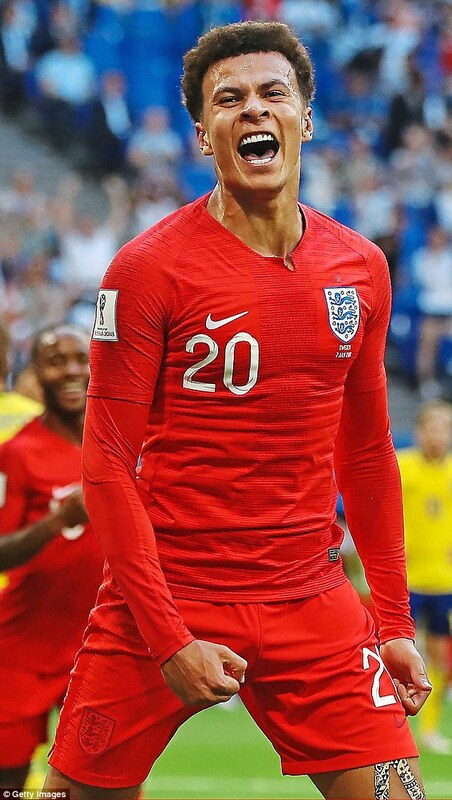 The Three Lions progressed to the semi-final, where they took the lead through Kieran Trippier’s free-kick but ultimately lost 2-1 after extra time. ‘We waited for a long time, we delayed the power cut,’ said Olga Perkova, a spokeswoman for Samaraenergo. Electricity was cut on Tuesday as no bills have been paid all year, despite President Vladimir Putin saying he did not want such venues to fall into disuse. After an internal meeting on Tuesday, Samaraenergo decided to turn the power back on because of upcoming Russian Premier League matches at the Samara Arena, even though it remains unclear when PSO Kazan will clear its debt, Perkova said. PSO Kazan did not reply to a request for comment. Krylia Sovetov Samara, a Russian Premier League club, will face Anzhi Makhachkala at the stadium on Saturday. Krylia Sovetov did not reply to a request for comment, but wrote on Twitter on Tuesday afternoon that power had been turned back on. 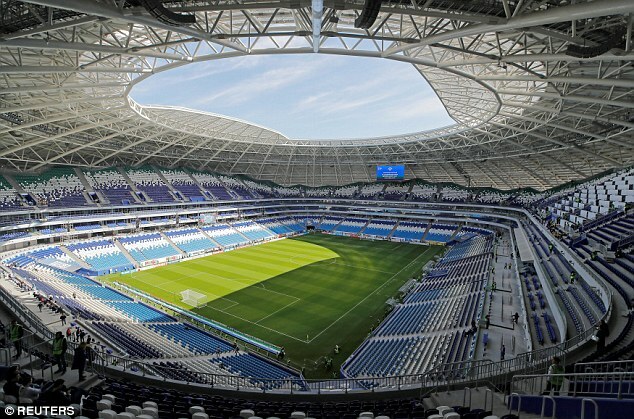 The Russian Premier League referred questions on the use of World Cup stadiums to Sport-In, a state-run company that manages the venues built for the tournament. When contacted on Tuesday, Sport-In said preparations for Saturday’s match were underway as usual. 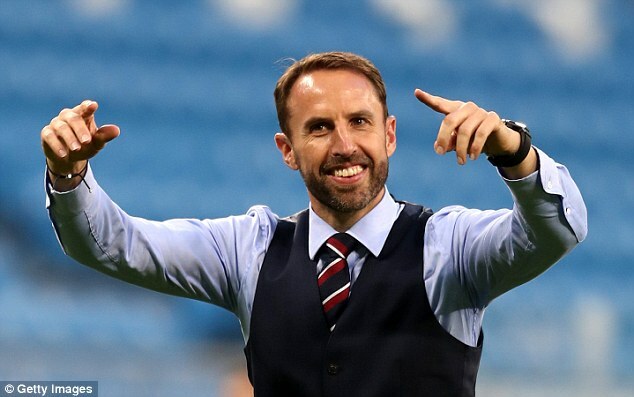 Authorities had scrambled in the run-up to the World Cup to finish work at the venue, following a series of construction delays. The stadium hosted a total of six tournament matches, including England’s 2-0 quarter-final win against Sweden. Russia hosted the World Cup in June and July in 12 stadiums spread across 11 cities, and the authorities have pledged that the newly-built venues will be put to good use. Putin last month urged the government to ensure the infrastructure did not fall into disuse. But Russia has run into problems at some of its new stadiums. A day after last month’s final, heavy rain damaged the newly-built stadium in the southern city of Volgograd.